Last week, the Department of Transport released their 2009 report on road casualties and road safety in Great Britain. There were 222,146 reported casualties of all severities last year. This is obviously a high statistic, but is in fact 4% lower than in 2008. Of this total, 2,222 were fatalities, which is 12% lower than in 2008. 24,690 were severe injuries – a number which is also down 5 % on the previous year. Although these recent figures show an all time low in road deaths, the numbers are still high. ‘As a society we should not accept that 2,222 should die on our roads’. He goes on to express concerns over cuts in public spending, which have already affected road safety budgets and led to some authorities switching off street lights. Further cuts could have a negative impact on road safety schemes and campaigns as well as on road maintenance and policing. For the accident rate to keep falling, it’s important that imminent cuts do not hinder the ongoing progress that has occurred over the last few years. It seems that drivers also need to take more responsibility for reducing the number of accidents on our roads. Research shows that ‘failing to look properly’ is the most frequently reported contributory factor for road accidents. This is followed closely by ‘a loss of control by the driver’. In an effort to save lives on UK roads – there has been a recent call to introduce a system of Graduating Driver Licensing. 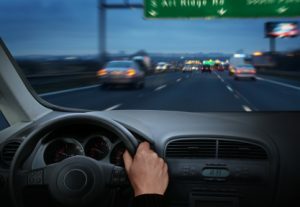 The University of Cardiff has analysed road accident data from 2000 to 2007 and suggests that a scheme such as this could save around 200 lives per year and result in around 1200 fewer serious injuries. However, driving organisations claim that the Graduating Driver Licensing scheme would be very difficult to enforce. Australia, New Zealand and parts of the US already use the scheme to help new drivers gain more experience in safer driving conditions. Under the scheme, newly qualified drivers (normally aged 17-19) are subject to certain restrictions for a set period of time after passing their test. For example, in Western Australia, new drivers must have zero alcohol in their bloodstream at all times when driving and are also prohibited from driving between midnight and 5am. In New South Wales, drivers under the age of 25 are only allowed to carry one passenger under the age of 21 between 11pm and 5am. New drivers are also banned from using all mobile phone devices – including a hands-free kits. In California, under the graduated driver licence, drivers are not allowed to carry passengers under the age of 20 at any time unless accompanied by a driver aged 25 or more. This restriction lasts for 12 months after passing the test. Research suggests that 1-in-5 new drivers crashes in the first 6 months. By targeting this group specifically and implementing restraints, it’s thought that many accidents might be avoided. Due to these unfortunate statistics, new, young drivers often find themselves hit with much higher car insurance premiums. Insurers normally price their policies higher for this group of drivers as they see them as a high risk. Newly qualified, young drives may find better deals by searching for specialist policies that cater specifically for under-25s. Passing your driving test is an exciting milestone and often the key to increased independence. A set of restrictions may certainly dampen the thrill for a new driver and may be difficult to enforce – but it could keep young people far safer behind the wheel and improve road safety.